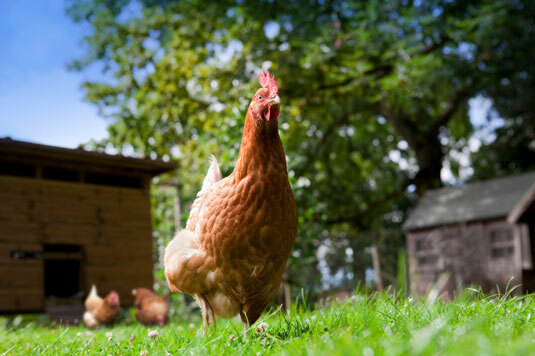 Here are ten of the most famous backyard flock-keeping myths. Busting these myths may burst some bubbles of wishful thinking, but hopefully, it also will ease some unnecessary worries. 1Mixing a new, healthy-looking chicken with the flock is safe. 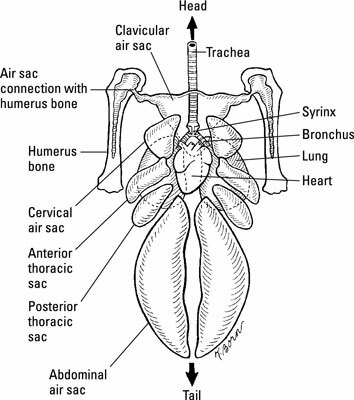 Many types of organisms that cause diseases in chickens can live hidden within a chicken, causing no signs of illness, or causing signs that are so mild that no one notices them. A healthy-looking carrier chicken can harbor a disease-causing organism for a long time, often the rest of her life, and she may spread the infection to flock mates without anyone being aware of it. You take a risk of introducing disease anytime you bring a new chicken home, especially an adult chicken, who has been alive long enough to pick up who-knows-what. 2You can get worms from eating eggs from wormy hens. Intestinal worms are so common in free-range chickens that there would be a big public-health problem if this myth were true. You don’t need to worry about getting worms from wormy chickens. 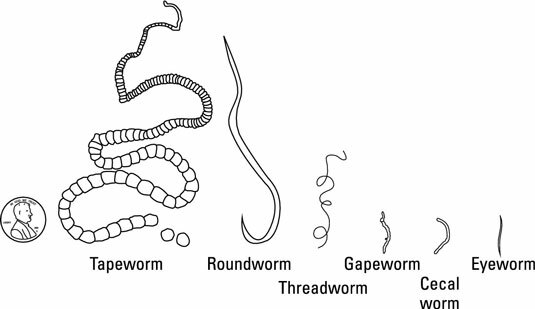 Intestinal worms are fairly fussy about whose intestines they live in, so chicken worms don’t like to set up residence in people. Occasionally, a wormy hen can lay an egg with a worm inside, but that’s just a revolting surprise at breakfast, not a human health hazard. 3You can use horse or dog medicine for chickens. Giving a chicken a medication that isn’t labeled for use in chickens is called extra-label drug use, and it’s illegal in the United States unless a licensed veterinarian who knows you and your flock prescribes the medication. To stay on the right side of food safety rules, use over-the-counter medications only as directed on the label, or consult a veterinarian. 4Many medicines are approved for use in laying hens. Very few medications are approved for use in chickens producing eggs for human consumption. You may suspect that drugs fail to win approval because they’re unsafe or they have side effects for hens, but that’s rarely the snag in the process. Mostly, the holdup is because veterinary drug makers haven’t found it worthwhile to spend time and money on the extensive research that’s required to prove that eggs from treated chickens are safe for people to eat. 5Natural remedies are always safer than synthetic drugs. People who recommend or sell natural remedies aren’t required to prove that those remedies are safe or effective, so you don’t know much about the safety and efficacy of many substances touted as natural cures. Calling a substance natural doesn’t guarantee its safety (snake venom is natural!). Virtually everything, even water, has a toxic dose. Some natural remedies aren’t very safe. For example, tobacco is an old-time natural remedy for chicken intestinal worms. The nicotine in tobacco leaves will kill some worms, no doubt; however, it’s a tossup whether it will poison the chicken first. A number of synthetic dewormers are many times safer and more effective than that particular natural remedy. 6Vaccinating is the best way to prevent flock infections. In general, poultry vaccines are a better tool for managing a disease that is already affecting a flock than they are at keeping disease out. The best way to prevent an infection from entering a flock is through good biosecurity. Keeping a closed flock and not sharing poultry equipment with other flock keepers are just two of many biosecurity measures that are probably more effective than vaccination in preventing flock infections. 7Surgery will stop your rooster from crowing. Successful decrowing surgery would be a life-saving procedure for many urban and suburban roosters (and welcome relief to their neighbors). Unfortunately, no foolproof procedure exists that reliably stops a live rooster from crowing. 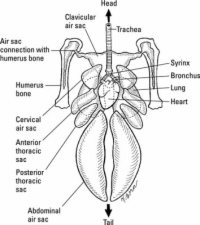 The rooster’s voice box (the syrinx) is located deep inside his chest, close to the heart — a tricky place to operate. 8You must regularly deworm and vaccinate backyard flocks. Almost all backyard chickens carry a few intestinal worms, which don’t usually cause a problem (actually, having a few worms may boost the immune system). You don’t need regular, routine deworming for backyard chickens, unless you know you have a parasite problem in your flock. The same can be said about vaccinations, because chicken shots are more effective at controlling disease than preventing flock infections. Most backyard flock keepers can help their flock more by focusing on biosecurity and keeping the flock clean, comfortable, and well fed rather than spending time and money on routine vaccinations. 9Chickens catch colds, and they recover in a few days. Chickens catch respiratory infections that cause signs similar to human colds, but the chicken cold germs aren’t the same as the cold germs that afflict people. The big problem with several germs that cause chicken colds is that they never go away — chickens can become permanent carriers (and spreaders) of the germ after they become infected, even if they appear to get over it in a few days. 10A hen that eats her eggs has a nutritional deficiency. Egg-eating is an infuriating habit that some laying hens pick up. Even pampered, well-fed birds can become intractable egg-eaters; poor nutrition is rarely to blame. The egg-eating habit is nearly impossible to break after a chicken starts doing it, and she often recruits other flock members in her crime spree. Although egg-eater rehab programs are rarely successful, prevention works. You can prevent egg-eating by reducing the chances of egg breakage: Collect eggs frequently, don’t scare hens, and keep plenty of protective padding, such as straw, shavings, or artificial turf, in the nest boxes.